You are here: Home / Fitness / Do you need a food + fitness RESET? Here’s your plan! 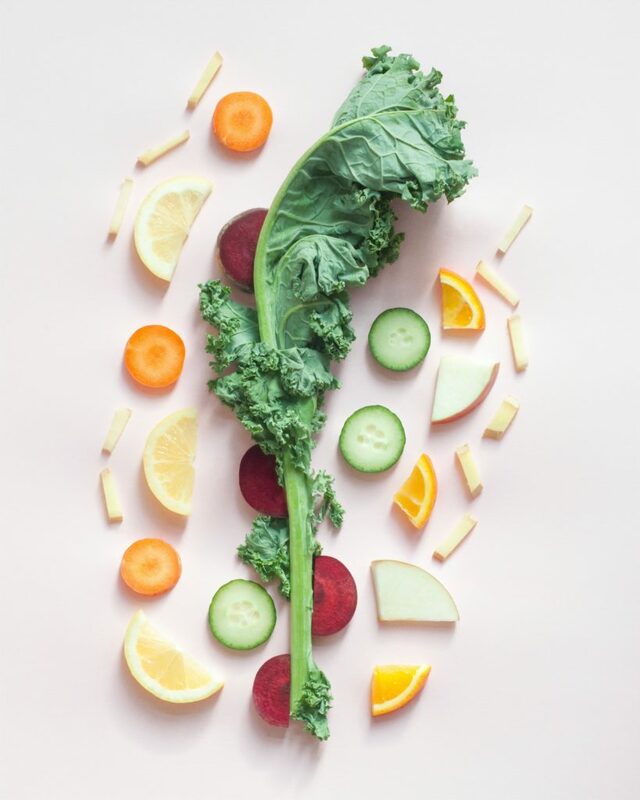 Do you need a food + fitness RESET? Here’s your plan! So, are you coming out of your sugar coma yet? I’m not here to preach…I’m in the exact same boat as you are. What can I say? I love Christmas cookies as much as you. I firmly believe that there is room inside the healthy living bubble for indulging. It can’t be all quinoa salad all the time. A huge part of maintaining a healthy lifestyle over the long term, however, is a willingness to be intentional and do what it takes to get back on track. I KNOW that’s why I’ve been able to maintain a healthy lifestyle my entire adult life. When I get off track, which I absolutely do from time to time, I know I have to DO SOMETHING to get back on course. If we don’t do something, we’ll stay off the track. We all want back on the track, right? Sometimes, that means we need a RESET. What has worked extremely well for me over the years is taking a period of time of being extra intentional with my eating and fitness. I give my body a chance to recover from being off track and retrain it to live my healthy habits on a daily basis. When my reset period is over, I feel better than ever and ready to stay the course without getting too far off the track for any period of time. The reset period makes maintaining that healthy lifestyle EASIER. Why? It makes your body crave healthy choices. By the end of a reset period, your body is reminded of how it’s supposed to feel and it wants to keep feeling that way! So what exactly do I do during a reset period? I’ve actually put the plan I’ve used over the years into an ebook for you. 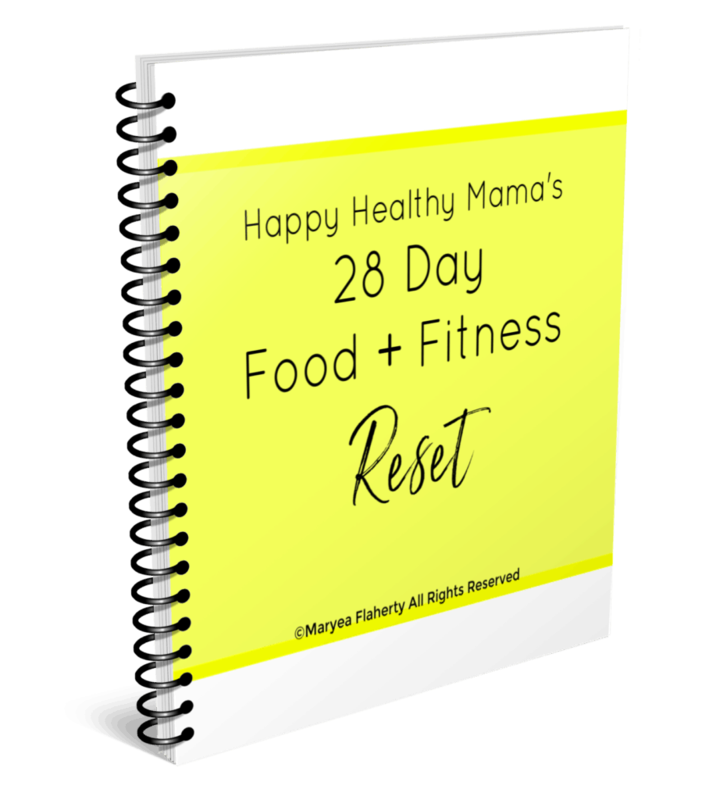 It’s called Happy Healthy Mama’s 28 Day Food + Fitness Reset and it has EVERYTHING you need to give your body the RESET it craves after a holiday season of too much sugar, alcohol, and/or heavy meals. ✔️A non-extreme, do-able plan to reset your body, cravings, and energy levels. ✔️4 weeks of meal plans AND complete recipes. ✔️A fitness plan anyone can follow, with no special equipment needed, including written workouts. Sometimes, just having a plan to follow helps. That’s why I put this together for you. I realize that knowing exactly what to do when it comes to healthy living and getting back on track isn’t intuitive for everyone. I also know that time can be a huge restraint. Finding meal plans and healthy recipes, searching for workouts….all of that takes time. So I did the work for you and put it all into one easy place, The 28 Day Food + Fitness Rest. Because I love you, appreciate you, and want to give you all a big hug, I’m offering this ebook for just $7.99 for the rest of December. I seriously don’t want any of you to not be able to get this! The price is going up in January, so don’t wait to snag your copy. Edited to add: Did you miss the special pricing in December? That’s okay; it’s still affordably priced at $12.99. Get your copy here. Would you like to get a FREE copy? Everyone who orders from my online activewear shop, ZYIA Active, this week will get a FREE copy of The 28-Day Food + Fitness Reset! You know you need new activewear to motivate yourself and feel great doing those workouts, right? Place your order here and I will send your free copy straight to your inbox! One more thing! A healthy reset is so much better when you’re doing it with a supportive community. Join the Happy Healthy Mama private Facebook community and we will be there cheering you on the whole time! Here’s to our healthy RESETS! This article really helped me in my fitness diet.